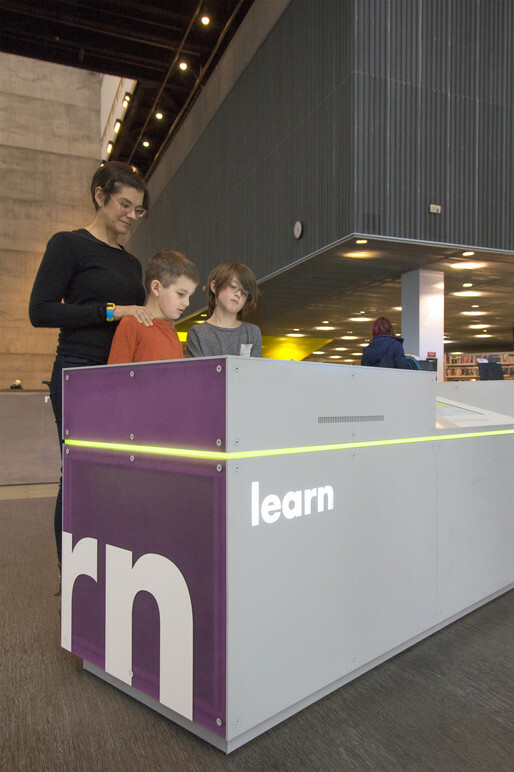 Visitor Center exhibit's Look and Learn stations. Visitors getting oriented at the Look Station. Look station backlit orientation panels with dynamic animating content. History and architecture of the Central Library. 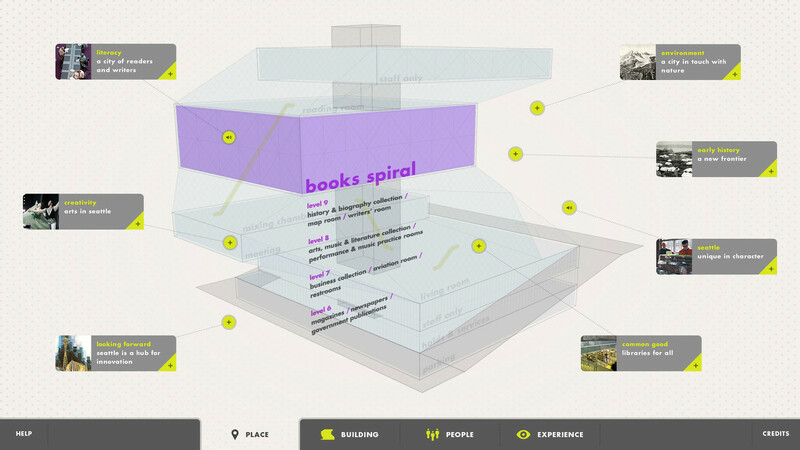 Birds-eye view of the exhibit. 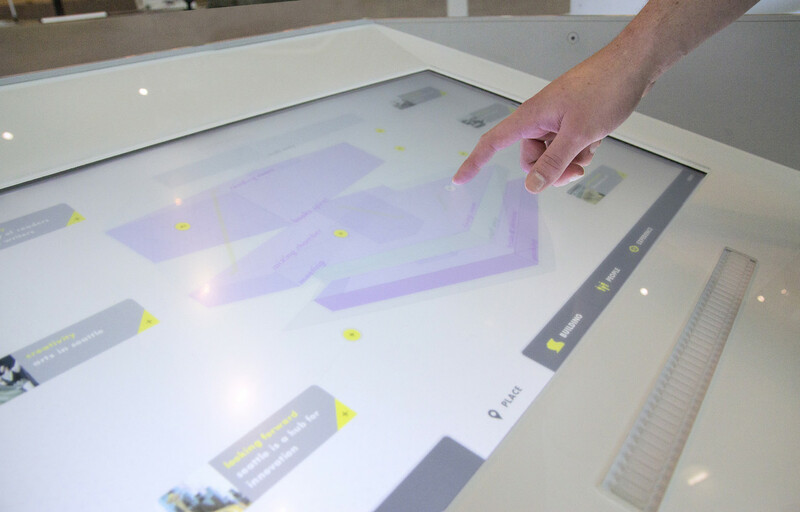 Visitors interact with touch station. 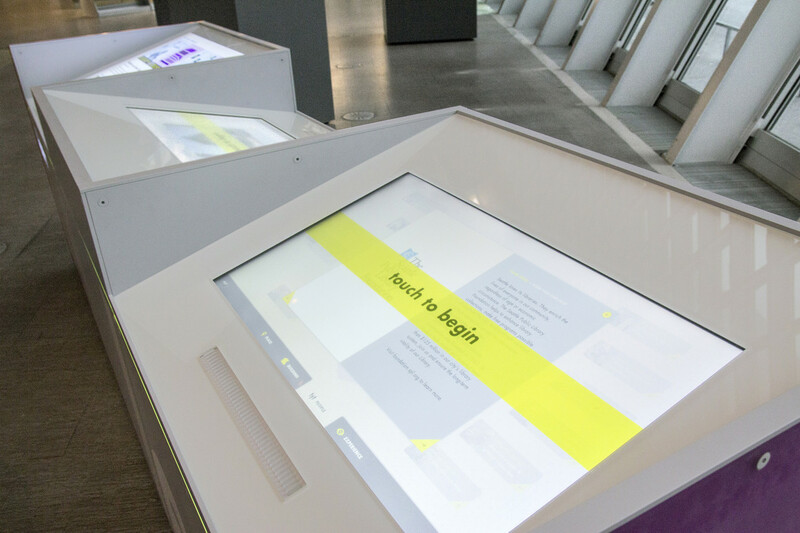 Touch station's "attract mode", encouraging visitors to engage with content from StoryCorps. 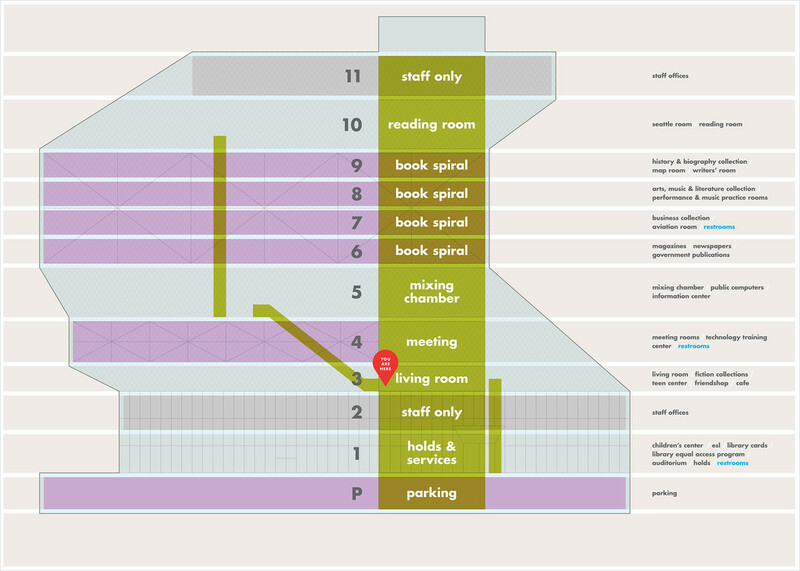 Visitors manipulate the building model to see the different ways to look at the Library. 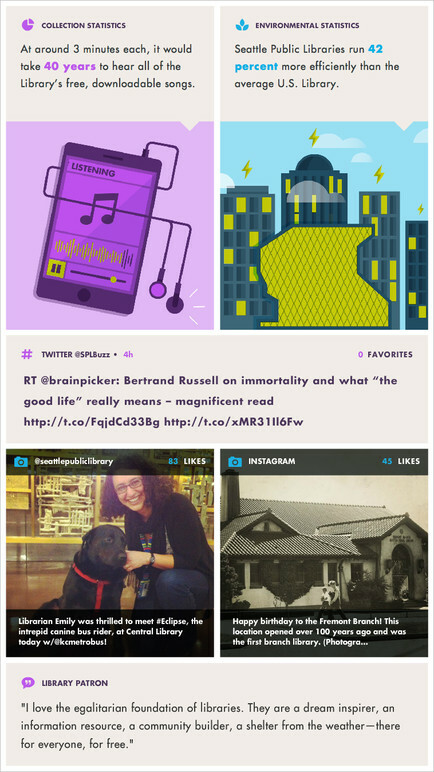 Each view contains a set of themed stories. View of the exhibit from 5th Avenue. Casework is highly detailed, built to last, and withstand the demands of visitors. 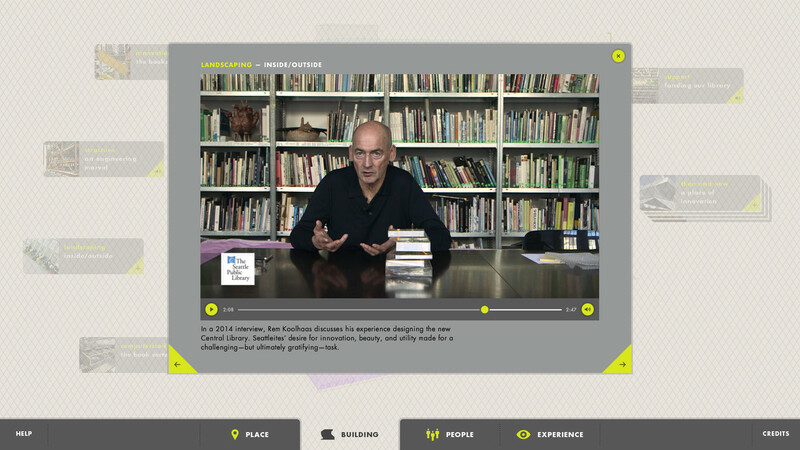 Video content of Rem Koolhaas explaining details of the building. 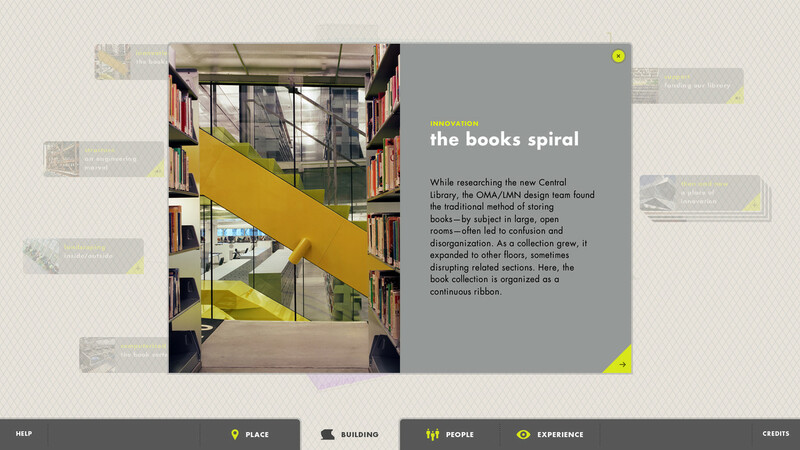 In their continued pursuit of innovation, the Seattle Public Library partnered with Belle & Wissell to create a new interactive visitor experience at the acclaimed Central Library. 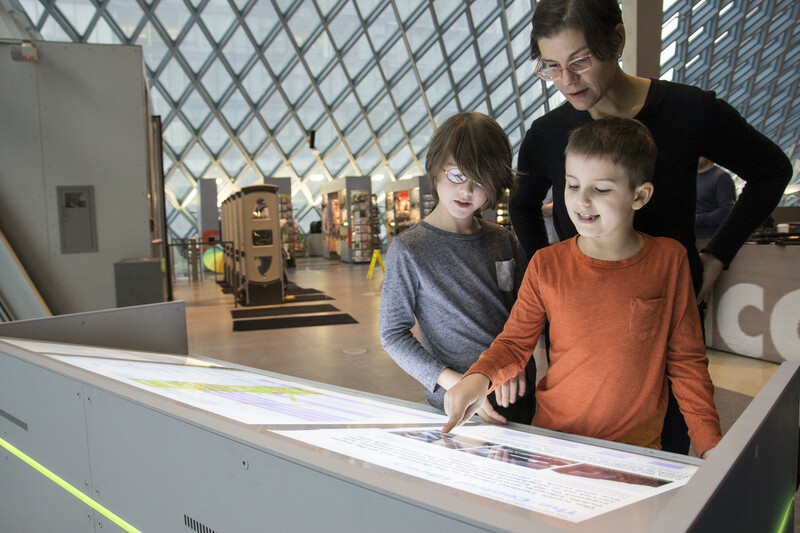 The Visitor Center Exhibit welcomes users of all ages to discover more about the city of Seattle, its pioneering library system, and the bold Central Library building, designed by OMA/LMN. 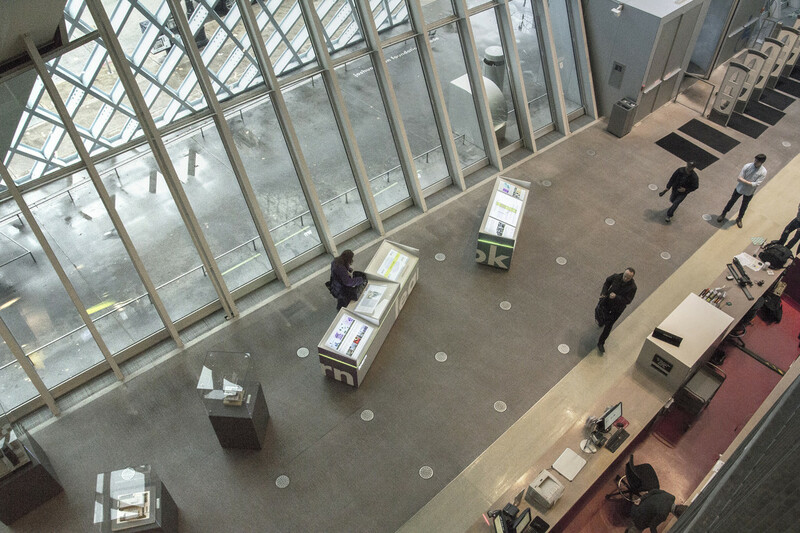 The new Visitor Center Exhibit demonstrates the Seattle Public Library’s commitment to the public. 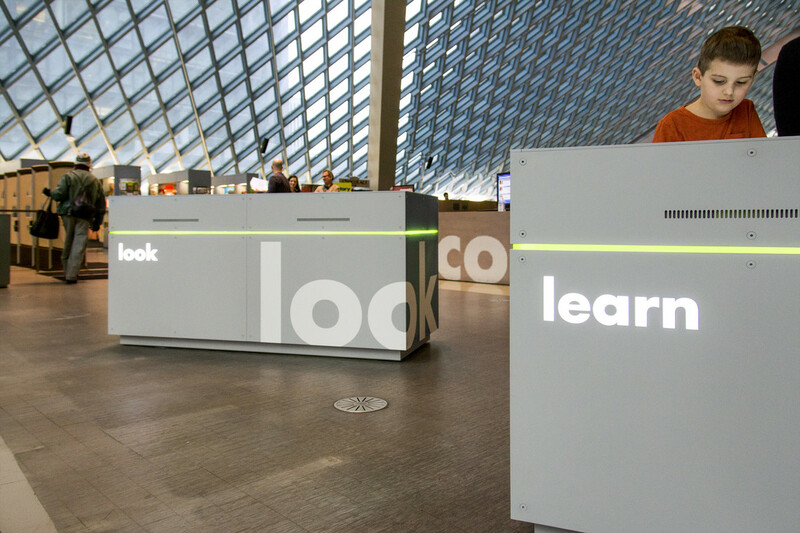 “Look” and “Learn” stations feature interactive and dynamic elements, encouraging visitors to experience the library anew. 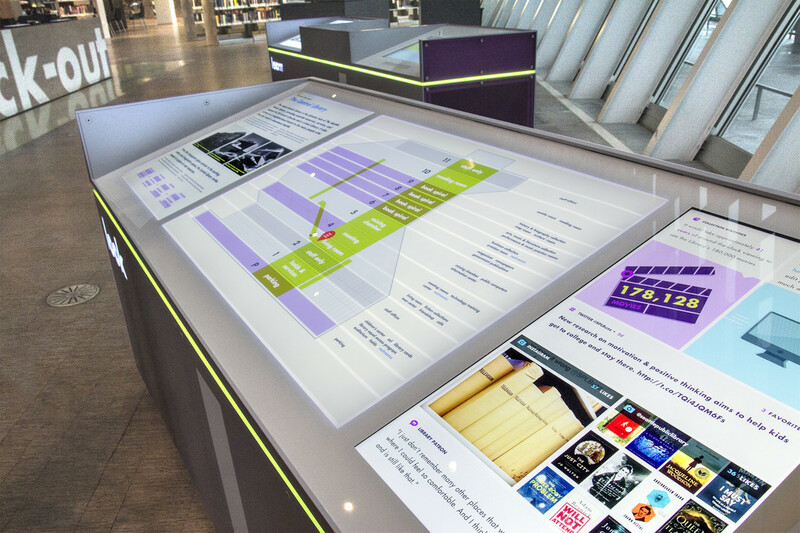 The design of the exhibit encourages participatory interaction from visitors as they engage with content celebrating librarians, libraries, and their indispensable role as a civic resource. 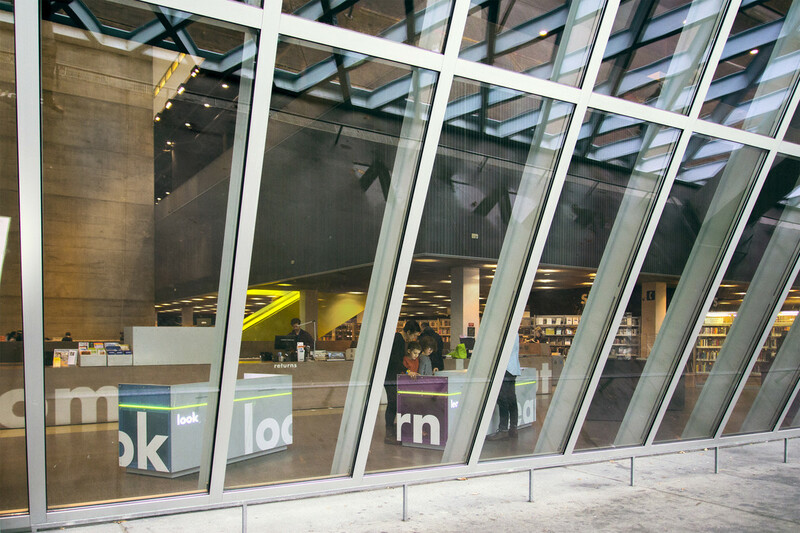 The Seattle Central Library is a striking, iconic element of the Seattle skyline designed by world-renowned Dutch architect Rem Koolhaas. Its architectural significance and receptive ideology make it the most-visited site in the city, drawing almost 2 million visitors annually. 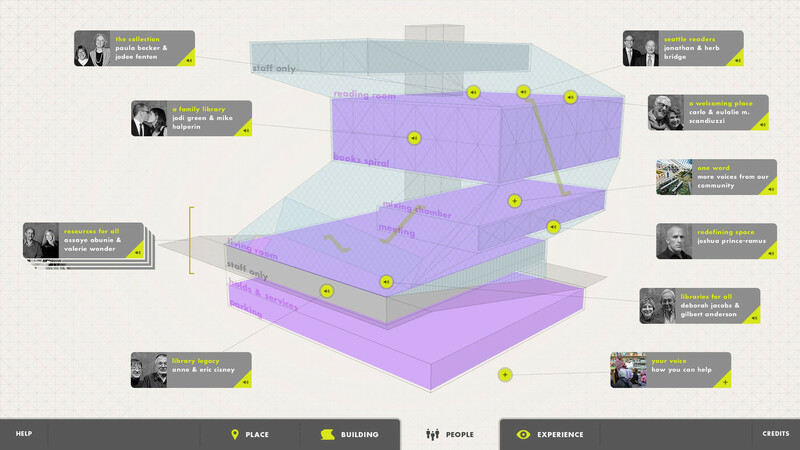 Belle & Wissell worked closely with Lockwood & Sons, a design build company, to realize this exhibit—utilizing the same “form follows function” philosophy that was instrumental in Koolhaas’ building design. 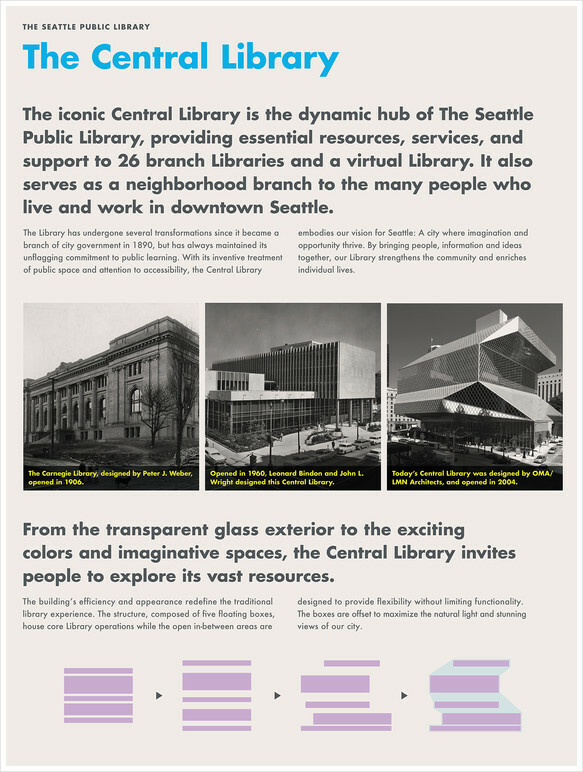 The Visitor Center exhibit was produced in collaboration with the Seattle Public Library and the Seattle Public Library Foundation. StoryCorps produced the personal interviews included in the exhibit experience.